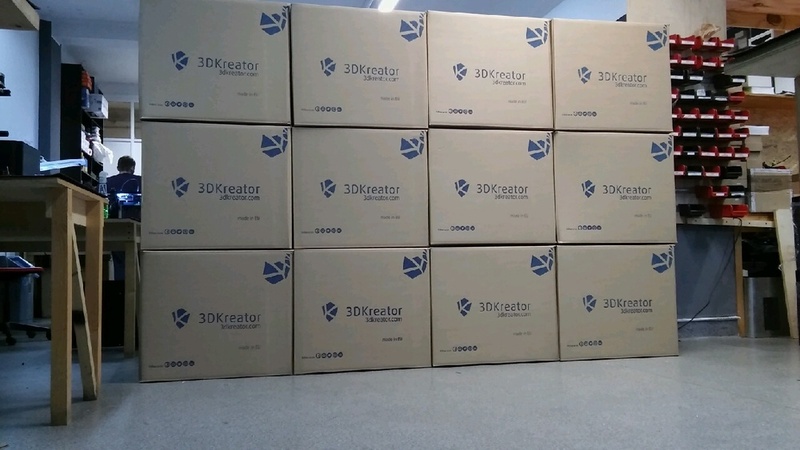 From Krakow, Poland to Atlanta, GA. USA the 3DKreator has been a welcome additional to businesses,schools, libraries and consumers across the globe. Now its America's turn to experience the next level of intuitive 3D printing. 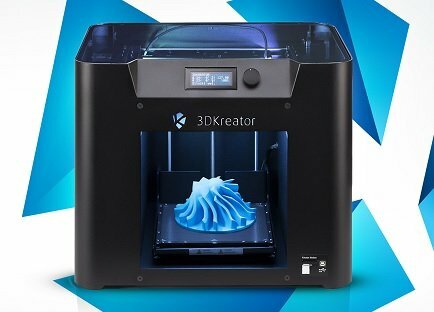 In 2016 Team One joined the 3DKreator global family. Western Hemisphere: Team One will provide full sales, warranty and non warranty repair services. Representation North and South America Team One Repair, Inc. Suwanee, GA.
INCREASE YOUR PRODUCTIVITY AND KREATIVITY! PURCHASE A DEMO UNIT AT THE SPECIAL PRICE OF $2,2450.00! The Sprout G2 Pro by HP has plenty of power to handle everything from the office, classrrom and to the studio. It comes equipped with Windows 10 Pro1, enhanced collaboration and sharing software that works with the dual screen experience,20-point Touch Mat, dual video feeds and integrated 2D and 3D scanning. built-in projector displaying on a 20 point Touch Mat. When combined with simple yet powerful editing tools, Sprout Pro lets you quickly and easily bring your ideas to life. Groundbreaking user interface Sprout Pro by HP gives you a unique hands-on way to control and create with the power of touch. The two touch surfaces work together to transform your desk’s surface into a digital physical workspace. It’s designed for a more intuitive, natural way to work without having to use a keyboard or mouse. At its core, Sprout Pro by HP is a high-performance All-In-One computer with an upgraded 6th generation Intel® Core™ i7 Processor2, 1TB of storage3, and new Windows 10 Pro1 operating system. So it has plenty of power for everything from the office to the studio. The Sprout Companion for Skype™ for Business12 enhances the experience of Skype™ on Sprout Pro by HP. You can easily select between the Sprout camera inputs to show either a video feed of your face or a physical object held over the mat. Instantly perform a Sprout 2D capture during a Skype™ meeting, which participants can view as an attachment. You can even move the Skype Meeting window between the vertical and horizontal displays with a single click, which is great for marking on the Skype™ whiteboard using the stylus on the Touch Mat. Receive for a free reel of ABS or PLA Filament with the purchase of this product. The 3D Capture Stage was designed specifically for Sprout by HP to make the 3D scanning process even better. The motorized turntable eliminates the need to manually turn objects, which makes scans faster and more consistent. It connects automatically with Sprout’s 3D Capture app to create an even simpler way to produce high-quality scans. Place an object on the 3D Capture stage. Hit scan. Watch it work. The turntable connects to Sprout’s 3D Capture app to automate a full 360-degree scan, so you can go grab a cup of coffee and your scan will be waiting for you when you get back. Together with Sprout, the 3D Capture stage helps you produce consistently amazing scans. Rubberized magnetic blocs ensure your object stays in place as it is automatically rotated and captured in just the right position. With 3D Capture stage you’re covered from all angles. The turntable was designed to maximize surface area coverage by automatically tilting 15-degrees as it rotates, making sure all aspects of your project are captured beautifully. FREE HP AUTOMATIC TURNTABLE WITH PURCHASE! Step up to the next level in 3D scanning with the Pro S3. Technology that brilliantly captures reality in a matter of seconds capture reality with HP’s new 3D scan solution. Create precise 360° 3D models using enhanced structured light scanning technology to enable productivity and creativity. Now scanning is even easier with the included HP Turntable! Scanning time: One single scan within a two (2) seconds or up to ten (10) seconds depending on settings and computer speed. Software PRO V4: The roots of HP experienced software team lie within the fields of robotics, digital image analysis and 3D data processing. HP application software undergoes continual improvement increasing its functional range and simplify its user interface constantly. Included Accessories: Camera, Video Projector with a special lens for large focal range, remote control, USB Dongle with Software,Sliding Rail, Camera Slider, Tripod and Calibration Panels. Additional Accessories: In addition to the included accessories we offer additional accessories to complete your scanning capabilities such as turntables, stability stand and more. See our complete 3DSHOP listing. Step up to the next level in 3D scanning with the Pro S3 Bundle-2. Technology that brilliantly captures reality in a matter of seconds capture reality with HP’s new 3D scan solution. Create precise 360° 3D models using enhanced structured light scanning technology to enable productivity and creativity. Included Accessories: S3 Pro Dual Cameras, Video Projector with a special lens for large focal range, remote control, USB Dongle with Software, Leveler Pro, Turntable, Sliding Rail, Camera Slider, Tripod and Calibration Panels. This is the complete HP Scanning System! Step up to the next level in 3D scanning with the Pro S3 Dual Camera. Technology that brilliantly captures reality in a matter of seconds capture reality with HP’s new 3D scan solution. Create precise 360° 3D models using enhanced structured light scanning technology to enable productivity and creativity. PRICE REDUCED TO INCLUDE FREE HP AUTOMATIC TURNTABLE! Step up to the next level in 3D scanning with the Pro S3 Bundle 1, the complete HP 3D Scan bundle. Technology that brilliantly captures reality in a matter of seconds capture reality with HP’s new 3D scan solution. Create precise 360° 3D models using enhanced structured light scanning technology to enable productivity and creativity. Enhance your HP 3D Structured Light Scanner Pro S3 scanning capabilities by adding a second camera. Produce higher quality scans faster with a dual HD camera (stereo) set up. Kit Includes an HP HD camera, mounting hardware, and cables for an effortless upgrade. Upgrade your HP 3D Scanner Pro 2 monochrome camera with this industrial grade, high-speed full HD camera. This HD camera captures 54 frames per second with a mesh density of 2.3 million vertices. That's an amazing 1.1 million vertices increase over the monochrome camera. FREE WHEN PURCHASED WITH AN HP SCAN PRO 3! The HP 3D Automatic Turntable Pro enables 360° scanning. Simply place your scanning objects on the Turntable Pro and initiate either a manual or automatic rotating scan with a variety of angles. Scanning just became easier with even more precision. The Turntable Pro will be an incredible addition to your scanning capabilities. Team One will make every attempt to assist you in returning a product when necessary. You may return damaged, defective, and or merchandise deemed non-satisfactory within ten (10) days of the receipt date for a full refund, credit, or product replacement. Notification must be provided to Team One Repair by email within the specified ten (10) days from receipt of merchandise. Email notification must include the following; reason for return, description of any damages, defects, or missing accessories. If the notification is regarding damages incurred in transit/shipment please provide a photo of the box, packaging and the merchandise. Team One Repair, Inc. doesn't accept returns of the following items: Computers, Tablets, or Point of Sale equipment after 30 days. Open software either sold separately or part of the above listed merchandise. Team One upon receipt of notification will issue an RMA (Return Materials Authorization) number along with a return shipment label. Return shipment instructions will be provided. The RMA number provided must be clearly marked on the outside of the package. RETURNS WITHOUT AN RMA WILL BE REFUSED AND RETURNED AT YOUR EXPENSE. Team One Repair, Inc. upon receipt of the returned merchandise, under RMA, will process your refund or credit accordingly. We will also be glad to exchange the damaged or defective merchandise for an identical replacement and or for any other product on our website of equal or lesser value. Please contact should you have any questions or concerns. Delivery shall be deemed as F.O.B: Team One Repair, Inc. Suwanee GA. Delivered to you once it is the possession of the designated freight. Copyright © 2012-2015 Team One Repair, Inc.
All rights reserved. As a user, you are authorized only to view, copy, print, and distribute documents on this Web site so long as (1) the document is used for informational purposes only, and (2) any copy of the document (or portion thereof) includes the following copyright notice: Copyright © 2012-2015 Team One Repair, Inc. All rights reserved. All brand, product, service, and process names appearing on this Web site are trademarks of their respective holders. Reference to or use of a product, service, or process does not imply recommendation, approval, affiliation, or sponsorship of that product, service, or process by Team One Repair, Inc. Nothing contained herein shall be construed as conferring by implication, estoppel, or otherwise any license or right under any patent, copyright, trademark, or other intellectual property right of Team One Repair, Inc. or any third party, except as expressly granted herein. At this time, Team One Repair, Inc. ships merchandise to locations within the continental United States, Alaska, Hawaii and U.S. territories, including, Puerto Rico, Guam, and the US Virgin Islands. Additionally, Team One Repair, Inc. ships merchandise to Canada and Mexico within NAFTA guidelines. We do ship internationally by USPS, Fed Ex or UPS. Please review International Terms and Conditions. The risk of loss and title for all merchandise ordered on this Web site pass to you when the merchandise is delivered to the shipping carrier. The risk of loss and title for all merchandise ordered on this Web site will pass to you when the merchandise is delivered to the carrier. Please contact us for any more information required. Shipping laws are different in each country. It is your responsibility to check with your Customs office to verify whether the country to which you are shipping permits the shipment of your products. Team One Repair, Inc. is not responsible for any direct, indirect, punitive, or consequential damages that arise from improper international shipping practices. The risk of loss and title for all merchandise ordered on this Web site pass to you when the merchandise is delivered to the shipping carrier. Team One Repair, Inc. charges sales tax for merchandise ordered on this Web site for the states of GA., CA. MI., based on the applicable state sales tax rate. Team One Repair, Inc. may charge applicable local taxes/rates where applicable in these states. Team One Repair, Inc. may charge sales tax for merchandise ordered on this website for any other applicable state based on its applicable state sales tax rate for internet based purchases. The information and content on this server is provided "as is" with no warranty of any kind, either express or implied, including but not limited to the implied warranties of merchantability, fitness for a particular purpose, and non-infringement. Any warranty that is provided in connection with any of the products and services described on this Web site is provided by the advertiser or manufacturer only, and not by Team One Repair, Inc. Although the information on this Web site is accessible worldwide, not all products or services discussed in this Web site are available to all persons or in all geographic locations or jurisdictions. Team One Repair, Inc. and the advertisers each reserve the right to limit the provision of their products or services to any person, geographic area, or jurisdiction they so desire and to limit the quantities of any products or services that they provide. Any offer for any product or service made in the materials on this Web site is void where prohibited. In the event of litigation both parties agree that the Law of the State of business registration of Team One Repair, Inc. shall apply and both parties shall consent to the jurisdiction of said State's courts, or in the event of diversity of citizenship, the United States District Court for the (District). Both parties expressly waive a trial by jury. MISCELLANEOUS:The Terms and Conditions constitute the entire agreement between you and Team One Repair, Inc. with respect to this Web site. The Terms and Conditions supersede all prior or contemporaneous communications and proposals, whether electronic, oral or written between you and Team One Repair, Inc. with respect to this Web site. No modification of the Terms and Conditions shall be effective unless it is authorized by Team One Repair, Inc. If any provision of the Terms and Conditions is found to be contrary to law, then such provision(s) shall be constructed in a manner to closely reflect, as much as possible, the intentions of the parties, with the other provisions remaining in full force and effect.